Sound Experience sails the historic schooner Adventuress to educate, inspire, and empower an inclusive community to make a difference for the future of Puget Sound’s marine environment. The organization uses the ship as a mobile classroom which visits ports throughout the sound. Working in conjunction with schools and other educational organizations, on-board educators teach students about biology, watersheds, marine mammals, nautical skills and more. Currently, the design is dysfunctional due to an emergency. Someone had recently stolen the ship’s steering wheel and the organization is now trying to recover the 98 year-old artifact. As a result, the Home Page is being used to bring attention to the issue and includes a full page of text regarding the story. The top of the page includes four photos of students, crew and the ship sailing. Below this gallery there is a top navigation bar with links to sections including “Sail with Us,” “Get Involved,” “Our Ship,” “Our Organization” and “News.” Below is the heading for the stolen wheel article with text. The left navigation bar includes a site search box, “Shortcuts” to sections where visitors can contribute, become a member, sign-up for a newsletter, and locate the Adventuress. A “What’s New” section and “Adventuress Gear” link complete the left column. 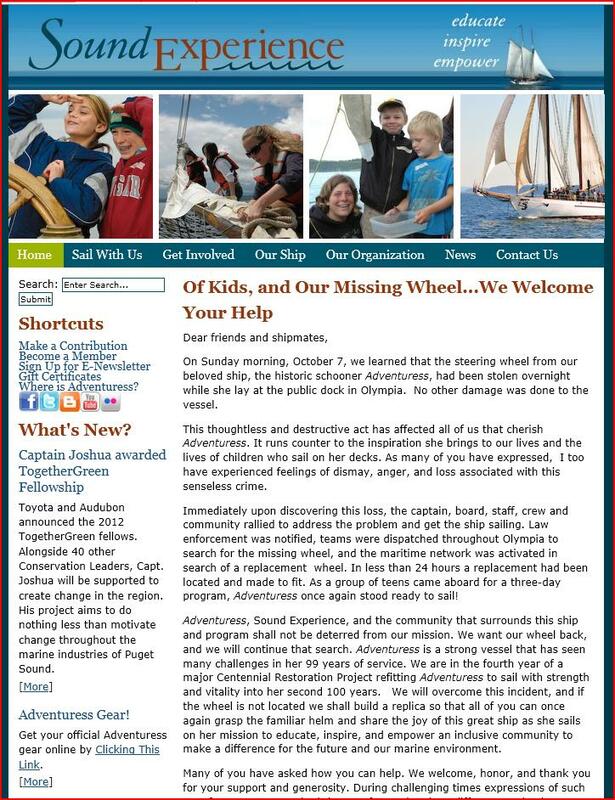 Below the main article are links to donate to their 29/29 fundraising campaign, join upcoming public sails, volunteer as a crewmember, and register your class for 2013. 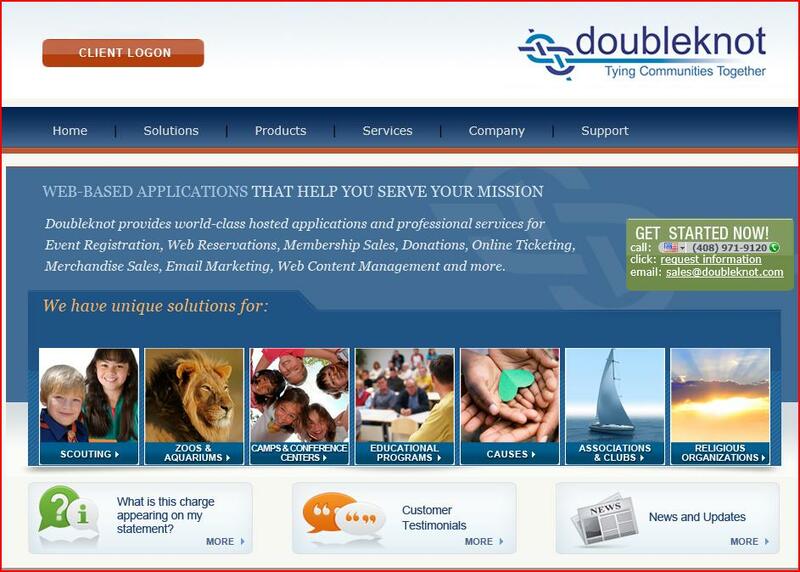 The design is very simple, and pages do not accommodate a larger display screen very well. There is no site map, comment sections, blog, and no way for users to generate content. The photo galleries link to a Flicker page. There is no mobile App integration. Links to social media from the left Nav bar. This is the extent of the access to their YouTube Channel with videos. They have 28 subscribers. This is available from the News > Stay Connected menu on the top Nav bar. 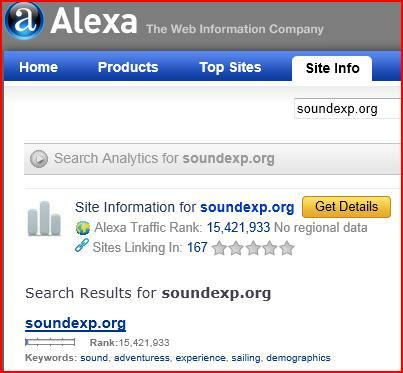 Based on Alexa.com findings, soundexp.org has a global traffic rank of 15,421,933. soundexp.org also reaches roughly 77 unique users each month and has 167 backlinks according to Alexa. The estimated monthly ad revenue is $ 0.00. Traffic and Revenue of soundexp.org is estimated to be decreasing within the last 3 months. The Site was launched at Wednesday, 31 July 1996 and is 16 years and 3 months old. The Server of soundexp.org is powered by the Apache webserver software and the server is physically located in United States (Arizona) and uses the IP address 72.167.59.14. The host is GoDaddy. There are no site reviews for Sound Experience.